For today’s youth, navigating the future isn’t as simple as it used to be. Managing money, spirituality, post-secondary education and looking after their own mental health are all areas of concern. With support from RBC Youth Mental Health Project funding and Georgian College, more than 100 youth from across the region gathered recently to explore their Game of Life at the Youth Summit organized by the Transition Age Youth System of Support partnership. Jack.org brought their energy with the keynote presentation, talking about the spectrum of mental health and how to help yourself and others when going through a hard time. Workshops throughout the day were hosted by the Gilbert Centre, RBC, Quest Art School, Georgian College, Justice for Children and Youth, and John Rice, a Wasauksing First Nation Elder. Topics included Indigenous life teachings, wellness through art, moving to post-secondary and everyday banking to reach your goals. 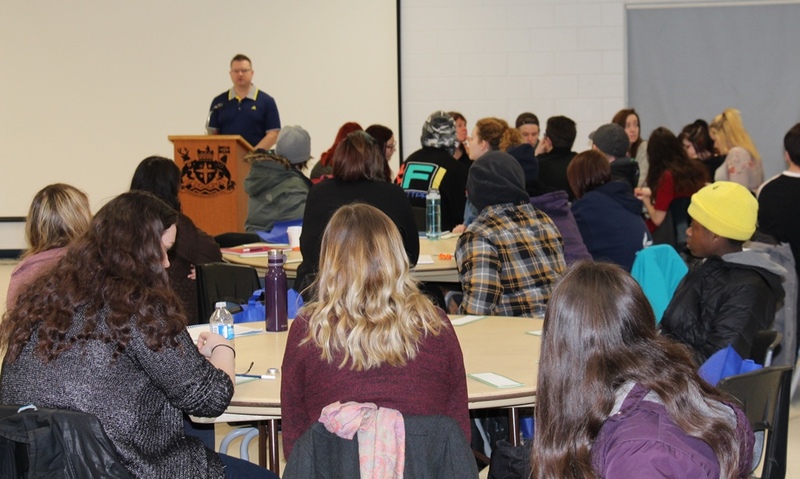 In addition to the workshops, many community partners including the HERO Centre, Youth Haven, Catholic Family Services and the Simcoe Muskoka District Health Unit joined for the day to showcase the programs and services available to youth throughout Simcoe County and Muskoka. A group representing #HaveHope were also onsite with a wildly popular photo booth. #HaveHope is a campaign supported by the County of Simcoe to raise awareness about mental health and provide youth-focused mental health first aid training.